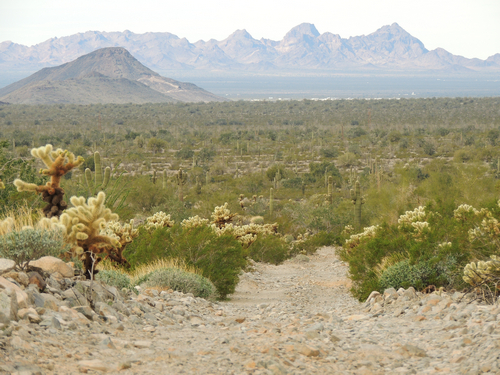 This trail lives up to its name by running up hills, down hills, into washes and out of washes. 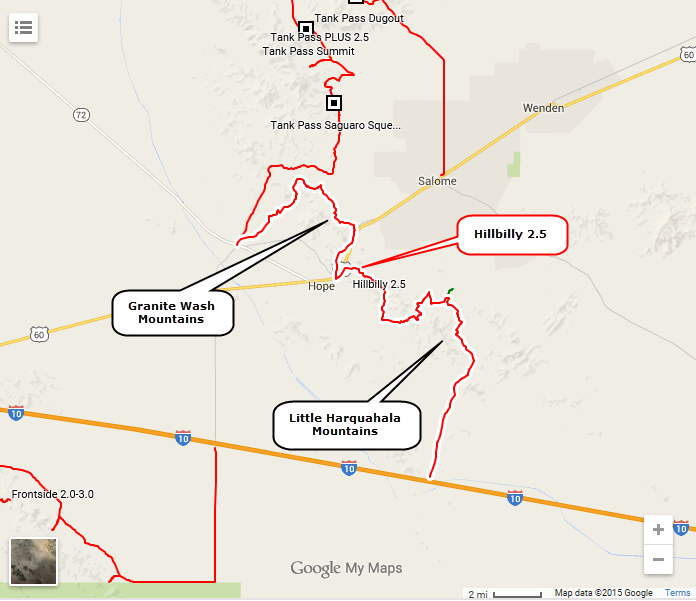 It starts in the south part of the Granite Wash Mountains then crosses US 60 and traverses the Little Harquahala Mountains. 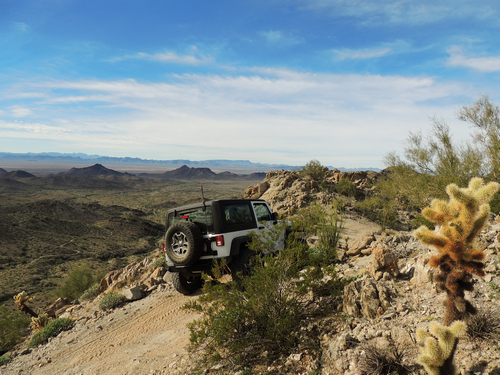 ​The only real WOW moment is the view from the crest of the Little Harquahala Mountains. 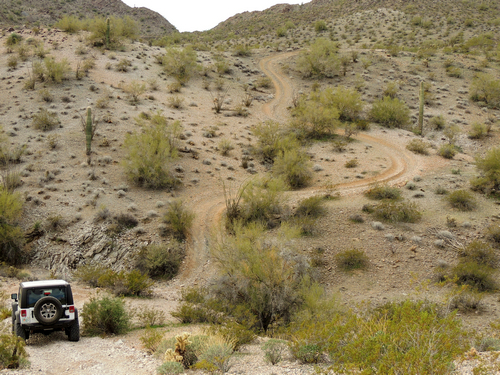 The rest of the trail is fun to drive, but the scenery is nothing special. Granite Wash Mountains are smaller at the south end of the range. Hillbilly spends a great deal of the time going up and down hills. 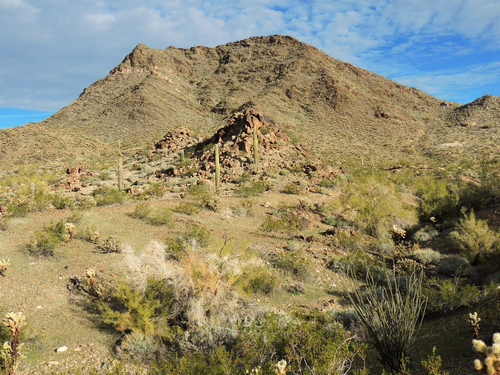 There is a flat area before climbing the Little Harquahala Mountains. A great view from the crest of the trail up in the Harquahala Mountains.